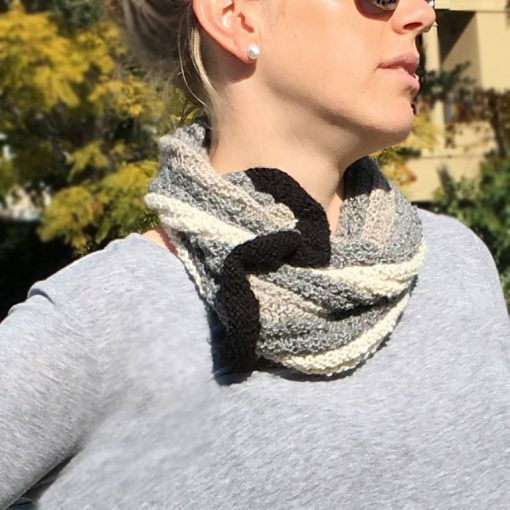 The ORA Alpaca Rib Cowl Greys and Black hand knit in concentric rib featuring a black stripe can be worn with a variety of colours as it features the natural alpaca colours of pewter grey, winter white and soft rose-grey, which have been effectively shown off in this striped rib cowl. 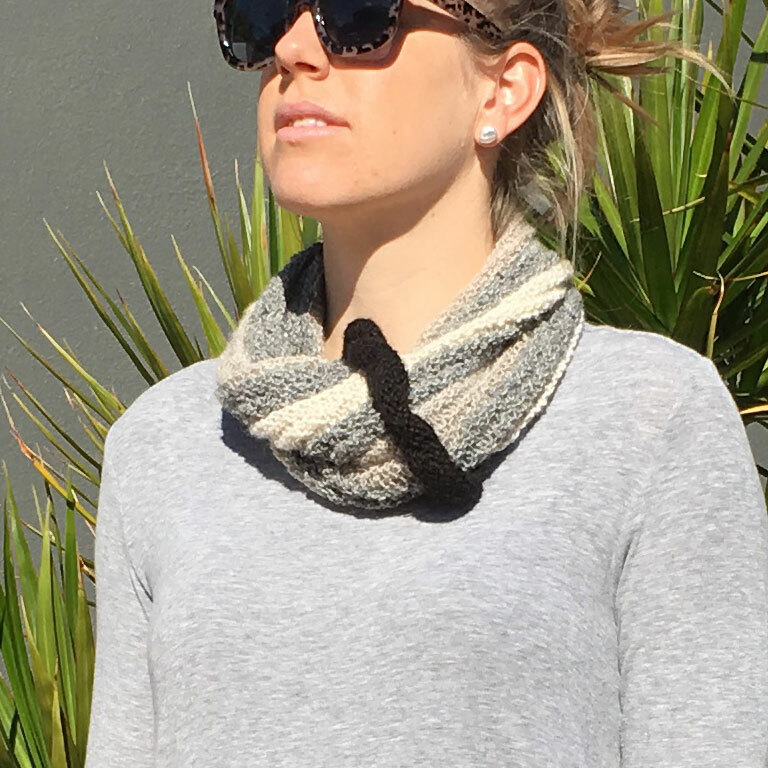 This Alpaca Rib Cowl Greys and Black features a contrasting vertical band in natural black alpaca. 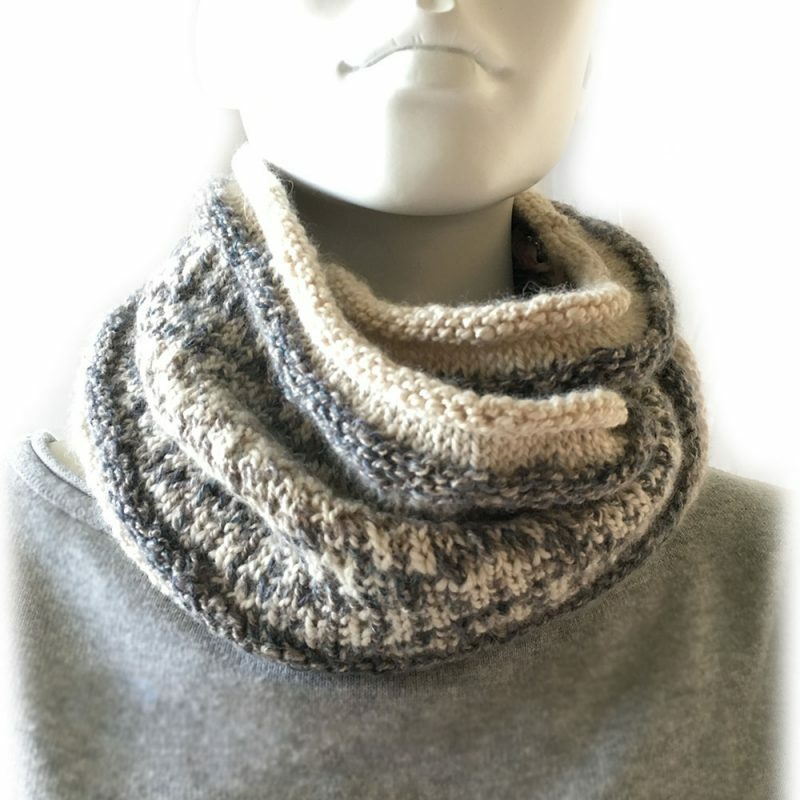 A cowl with these easy wear colours is at home in your casual wardrobe or accessorizing your winter jackets. 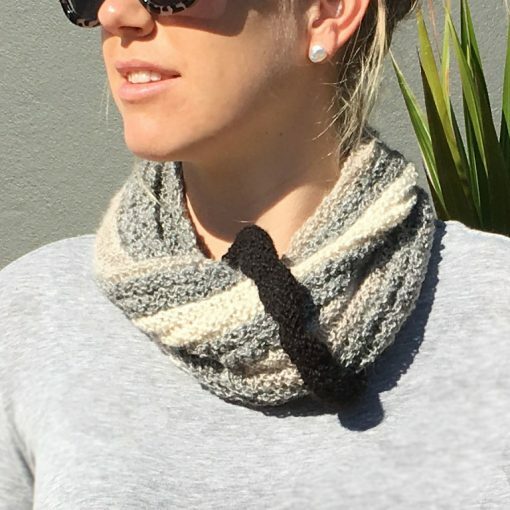 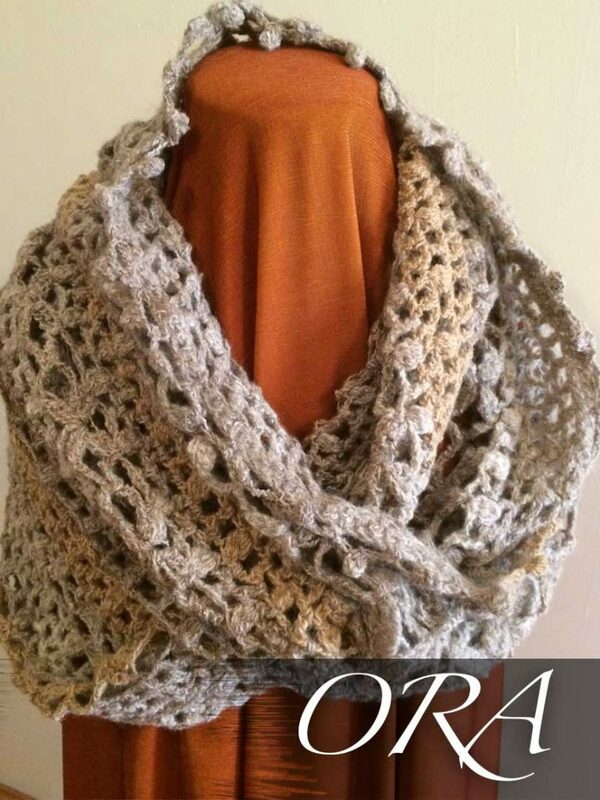 The ORA Signature Yarns used to create this Alpaca Rib Cowl Greys and Black have been hand spun using natural alpaca. 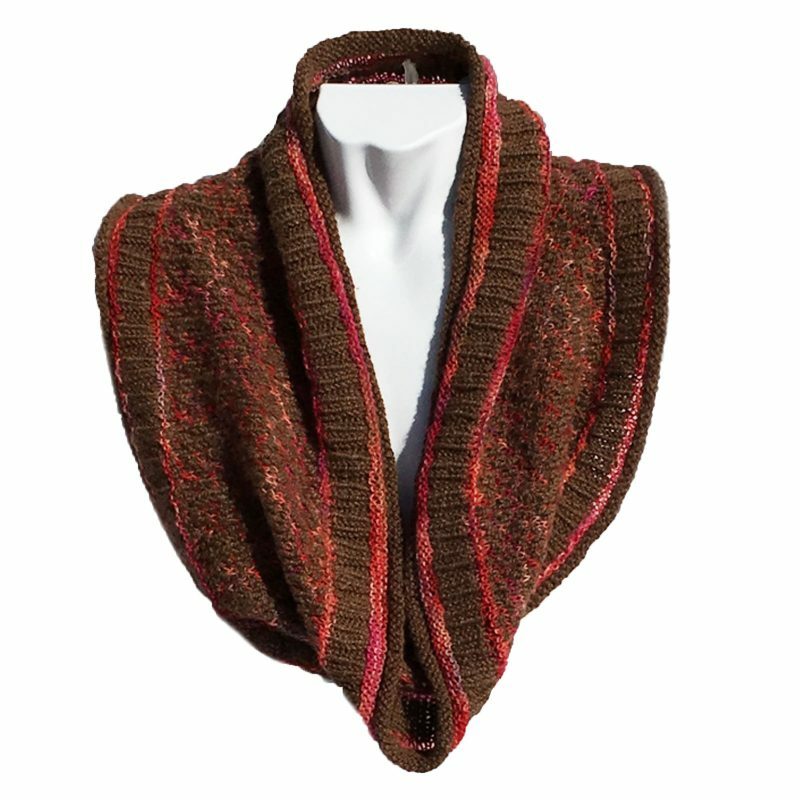 The Silk threads in this garment give a lovely tweed effect which enhance the natural lustre of the yarn. 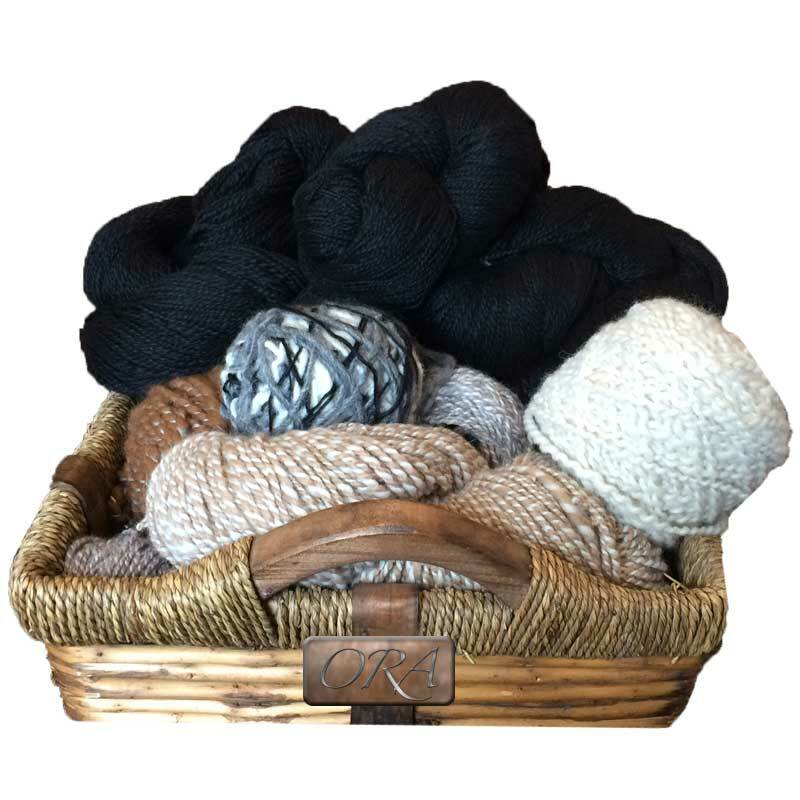 When the term “lustre” is used it means; glistening effect almost like a glow to the garment. 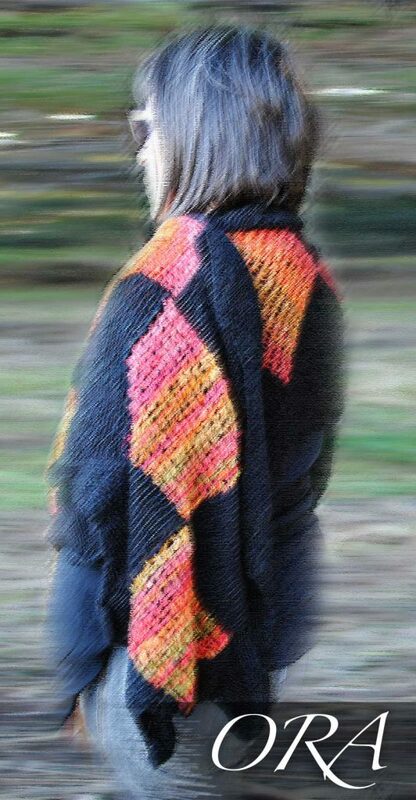 To learn more about the lustre in Alpaca fleece see this more in depth article.